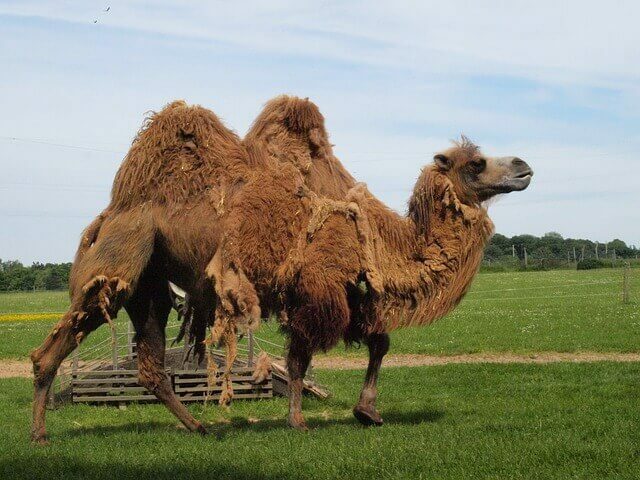 You probably already know that Bactrian camels have 2 humps and Dromedary camels only have one hump. If you forget which is which, just remember that the capital letter B has 2 humps and the capital letter D only has one. 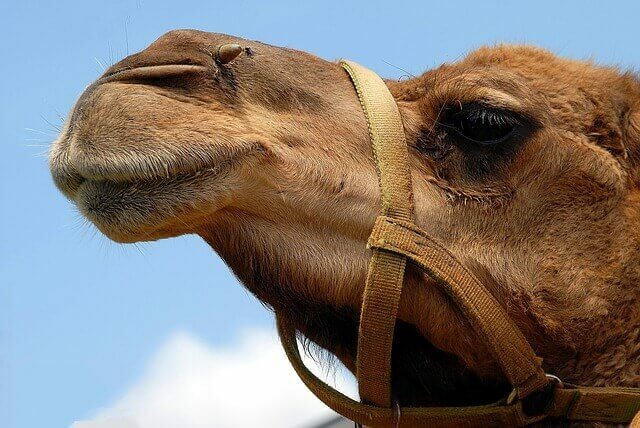 Beyond knowing which is which, here are 5 fun facts you never knew about camels. The myth that the hump holds water probably arises from the fact that camels can drink up to 40 gallons or more of water at a time. Their kidneys, intestines, and even blood have the capacity to retain water to help keep them hydrated. Even their nostrils are designed to retain moisture that would otherwise be expelled with each exhale. 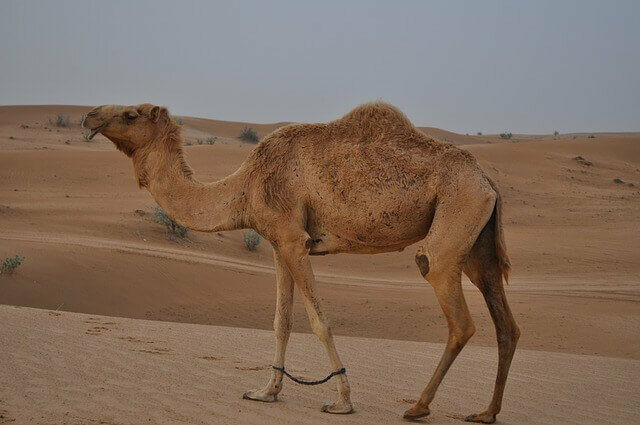 This makes the camel highly resistant to dehydration, allowing them to survive in extremely dry climates. The fat in their hump can be converted into food or water. Their long legs keep them well above the heat of the desert sand. They have wide feet with leathery pads on the soles of their 2 toes, which helps them walk on sand without sinking in. Long eyelashes and hairs on their ears keep sand out of their eyes and ears. They’re even able to close their nostrils during a sandstorm! Camels are born without a hump after 11-12 months of gestation. They grow to be 6-7 feet tall at the shoulder and weigh around 1600 pounds. 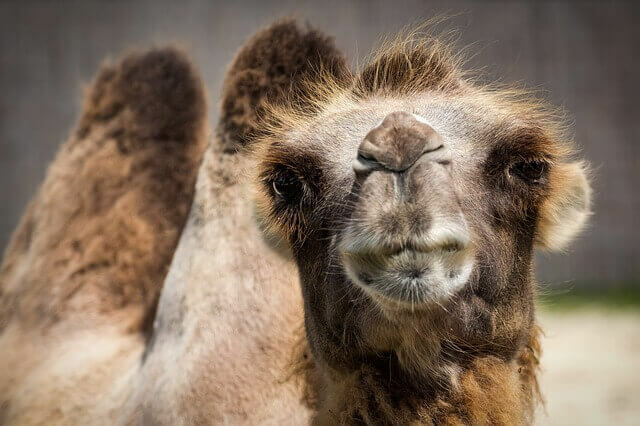 Camels will spit when angry or afraid as a self defense mechanism. They can also kick their legs in all 4 directions, so it’s best to stay on a camel’s good side! …But only in short sprints. They can maintain 25 miles per hour over long distances, though. Camel racing is being resuscitated around the Middle East and rivals horse racing for the amount of money spent on prizes and training.